UNIQUE & ERGONOMIC DESIGNED: The uniquely designed for expecting or breastfeeding moms, this u shape pillow also follow the natural contours and shape of your body for full support. 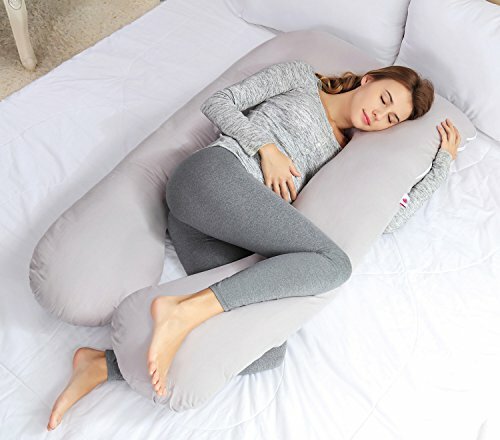 Oversized u-shaped pillow, long enough for you to stretch out and support both sides of your body. Though our pillow was crafted for pregnant mothers but is comfortable for everyone! 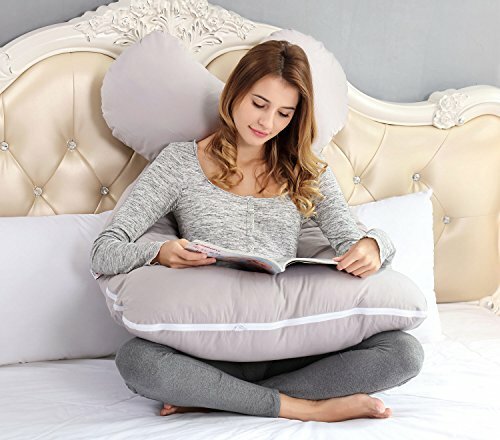 The AngQi Comfortable Pregnancy Pillow from has a U-shaped,two straight “legs”, shoulder Enhance design can be molded into a lot of positions to Enhance the entire body. The multi-function body pregnancy pillow’s three specially designed, contoured shapes work together as a unit to give Enhance, elevation and comfort where you wish to have it most. that contours the the shoulder and provides a soft sleep. 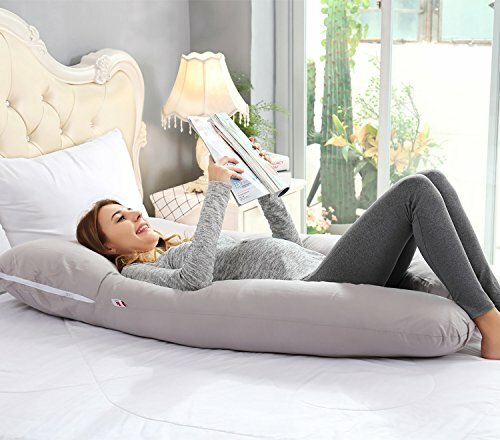 Made especially for expecting moms, the voluminous padding of this comfortable pillow gives you the Enhance you wish to have when resting – All Total Body Pregnancy Pillow helps relieve sleep problems as a result of aches, pains, stiffness, or late-pregnancy discomforts. 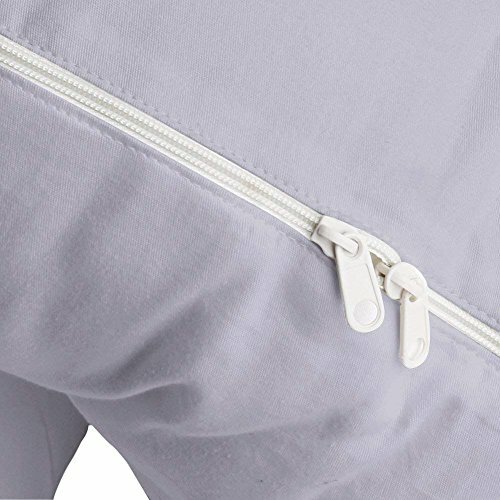 It contains 100% polyester fiberfill, which offers long-lasting resilience and durability. The AngQi – Total Body Pregnancy Pillow comes with the perfect length for tucking between your knees to prevent hip and back strain. It also keeps your spine properly aligned and the cool air flowing. It has a long length to Enhance the entire body and wide head section to provide comfortable sleeping positions. Don’t wait any more for mommy and baby thoughtful gift !!! UNIQUE & ERGONOMIC DESIGNED: The uniquely designed for expecting or breastfeeding moms, this u shape pillow also follow the natural contours and shape of your body for full Enhance. Oversized u-shaped pillow, long enough for you to stretch out and Enhance both sides of your body. Though our pillow was crafted for pregnant mothers but is comfortable for everyone! 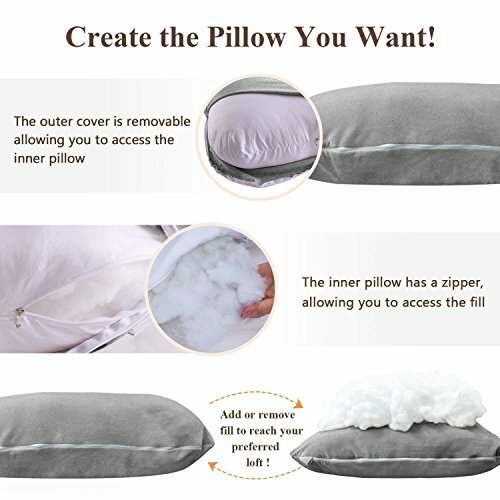 PAIN RELIEF & FULL BODY SUPPORT: Our have used this pillow effectively for pregnancy Enhance, nursing and for drug free pain relief and comfort (while sleeping) for people with fibromyalgia, sciatica, gastric reflux, congestion, carpal tunnel syndrome, eliminate tossing and turning, ME etc. As well as helps Enhance back, belly, sides, head, knees and feet. Eases you into better sleep, reducing interruptions all over the night. But people may experience varying results. 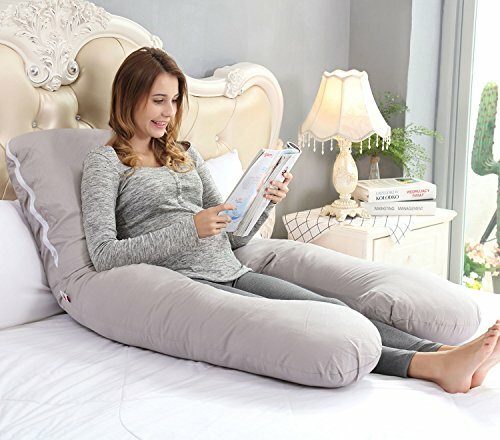 MULTI-FUNCTIONAL WEDGE PREGNANCY PILLOW: The maternity pillow creates is multiple positions for reading, watching TV, sleeping, nursing and breastfeeding to get more Enhance. 360° Total Body Enhance for a painless and sound sleep; Great for the whole family to enjoy. PREMIUM MATERIAL: Outer cover is super soft, and comfortable cotton cover, has zippered, removable and machine washable; Inner cover is 100% polyester, It’s very durable and breathable! 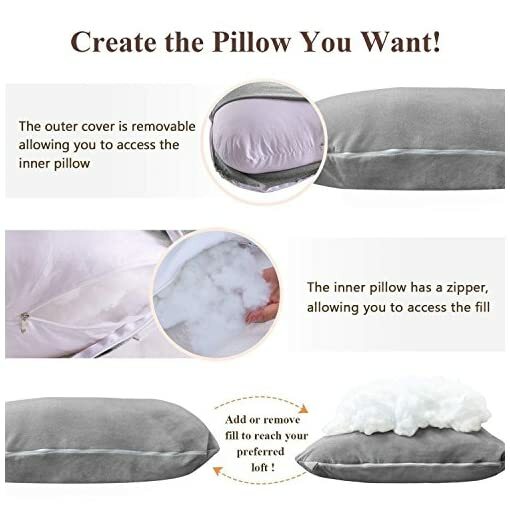 Filling is 100% polyester hollow fiber; giving you the sweetest sleep.